Biophos SA is an enterprise located at the EPFL campus. It is trying to improve its current software solution for human sperm analysis. 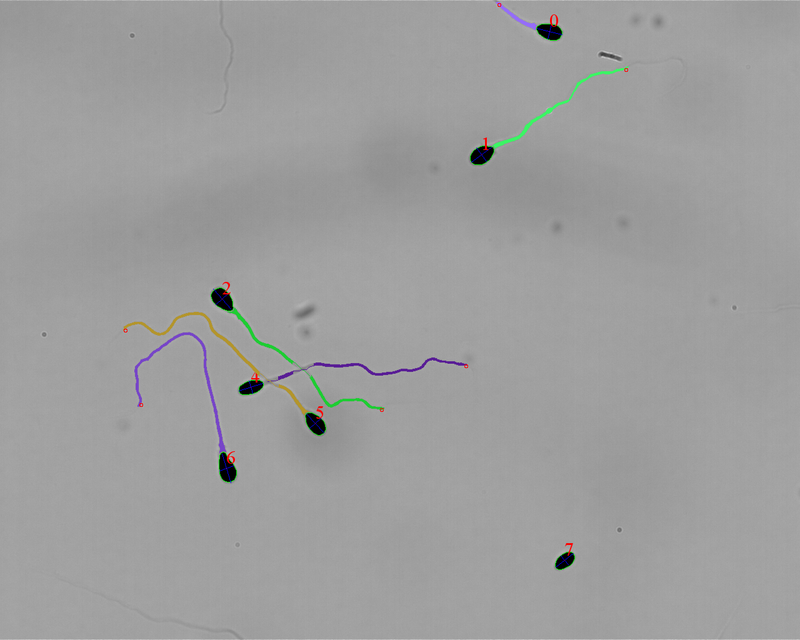 The goal of this project is to develop a Human Sperm Morphology Analysis module that will allow accessing the appropriate morphological parameters of sperms in a reliable and fast manner. 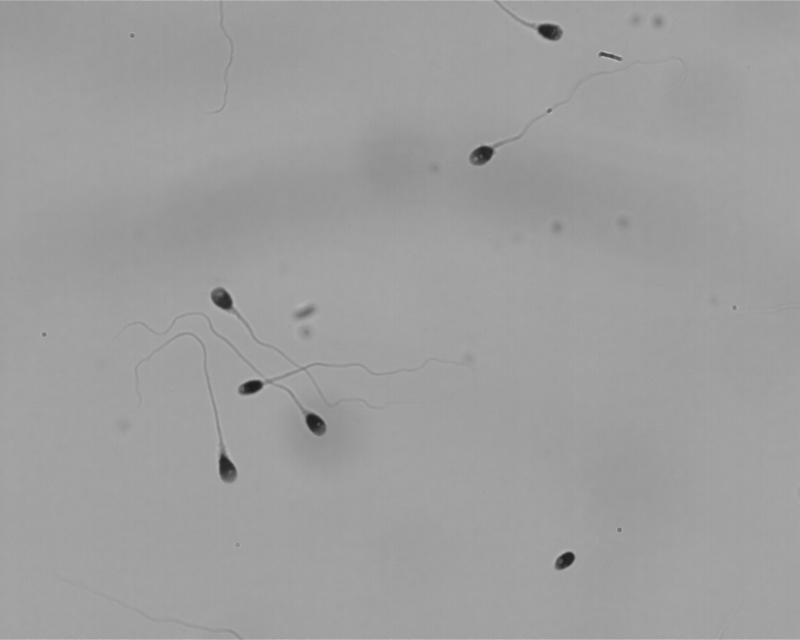 We have developed a general approach to handle the analysis of spermatozoa. The process is made of two main steps : the segmentation and the features extraction. The segmentation of the head is made thanks to a simple intensity thresholding followed by a morphological filtering. The segmentation of the tail uses steerable filters. Both parts are relatively robust if we rule out the discontinuities of the tails. Then, we extracte the main features of the head : area, perimeters, length, width... To that end, we propose two techniques drastically different : the first one is based on a voting procedure, the second one uses the library Ovuscule. Both present advantages and drawbacks. Finally, the features extraction of the tails turned out to be the most tricky part. We managed to implement an algorithm that succeeds in pairing heads and tails in a fast and reliable manner in so far as the segmentation has been done correctly. The curvature of the tail was calculated thanks to a cubic spline.